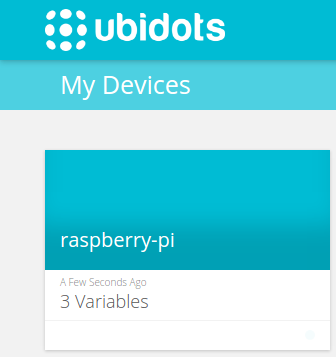 Use your Raspberry Pi to measure any internet connection speed with Ubidots. Besides the Pi's size, low cost, and fully operational Linux OS, it can also interact with other peripherals through GPIO pins (General Purpose Input/Ourput Pins) allowing you to code pretty robust hardware applications without having to be an expert in embedded electronics. 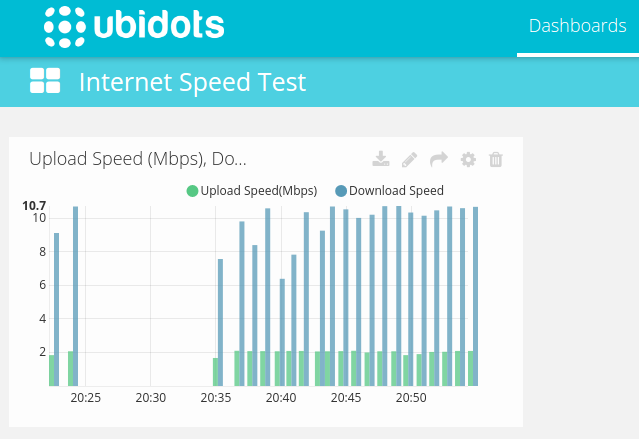 Following this article you'll learn how to measure your internet speed using a Raspberry Pi and send the parameters to the Ubidots cloud to create the alerts for monitoring your internet's connection throughout the day! 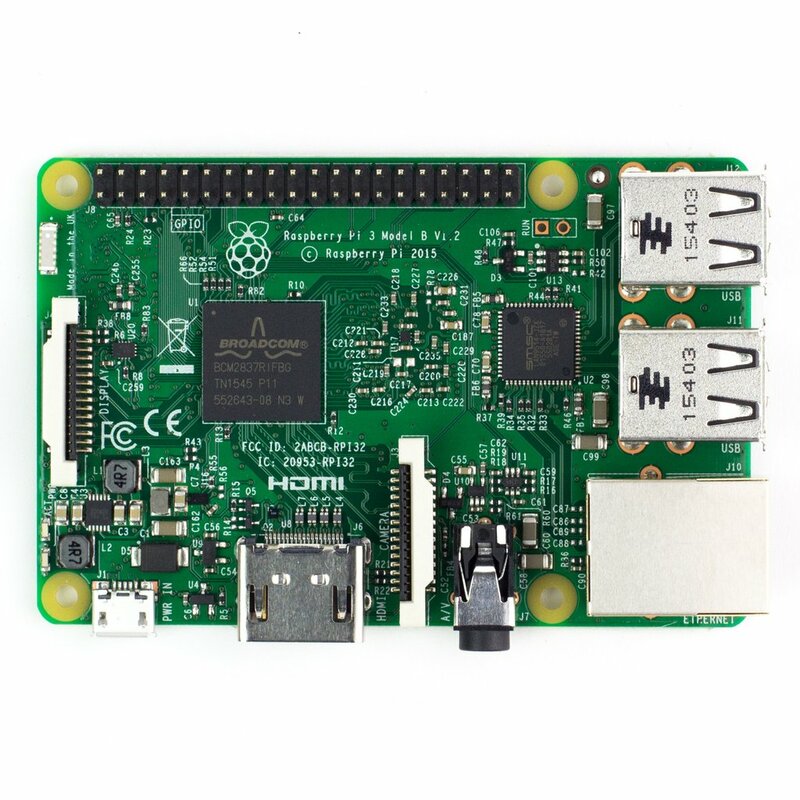 This guide assumes your Raspberry Pi has been configured and is already connected to the Internet. If not configured you can quickly do so using this quick start guide from the Raspberry Pi Foundation. NOTE: If you’re using a WiFi dongle, we suggest using Wicd to manage your WiFi connection. Now that we've tested the script, we can set it to run automatically every N minutes. For this purpose we'll use the Linux Cron tool for efficiency. to run the script every minute. To see more about Ubidots Dashboards, see the Help Center. To monitor your internet's speed when away, we added some events to notify a user: if the Internet is slow or if there's no Internet. To see more about Ubidots Events, check out this Help Center article for more details. I just a few minutes you've built an easy DIY Internet Speed Tester. Now put your Raspberry Pi in a safe place behind your router and never wonder your Internet's speed again.